The Prince Charles Hospital Foundation offers corporate companies a unique opportunity to fulfil their volunteering needs by putting together a team to be a part of the iconic Strawberry Sundae Stalls at The EKKA. 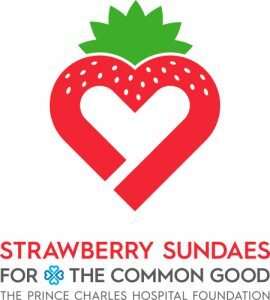 Volunteering at The Strawberry Sundae Stalls involves one 5.5 hour shift of your choosing on either the stall itself or manning the volunteer check in booth at the entry gate. We can cater for teams of up to 20 on one stall at a time. If you have a larger team we can accommodate the group across the five stalls. Within five business days they team captain will receive an email with a unique team registration link to forward onto their team members to register. Please quote in application: Strawberry Sundae Stalls via Pro Bono Australia.